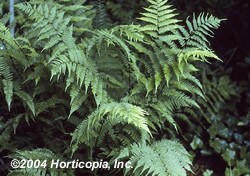 Ferns are among the oldest plants. 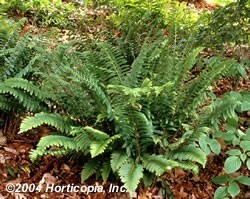 These plants were well established, growing, reproducing, and decomposing throughout the ages. They gain the awe and admiration of the nature lover. 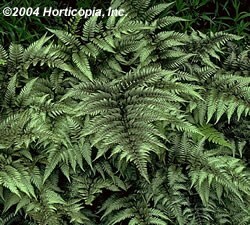 Relocated in the house or garden, ferns adapt themselves to new surroundings, adding a delicate beauty to either situation. 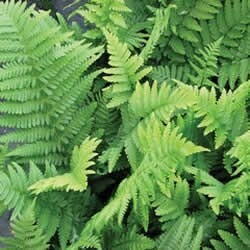 Foliage of varying shades of green, soft and plum-like or course and rugged, makes fern delightful additions to any collection of plants. 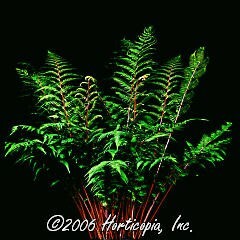 Ferns are plants that have been evolving over a long period–a plant of beauty and a plant with an unusual way of life. 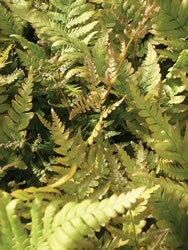 Thoughts now turn to how ferns can beautify both house and garden. Whether a home has limited or extensive garden area, each planting will challenge the gardener’s talent and ingenuity. If his knowledge already includes gardening, planning, and arrangements, he has an excellent start.